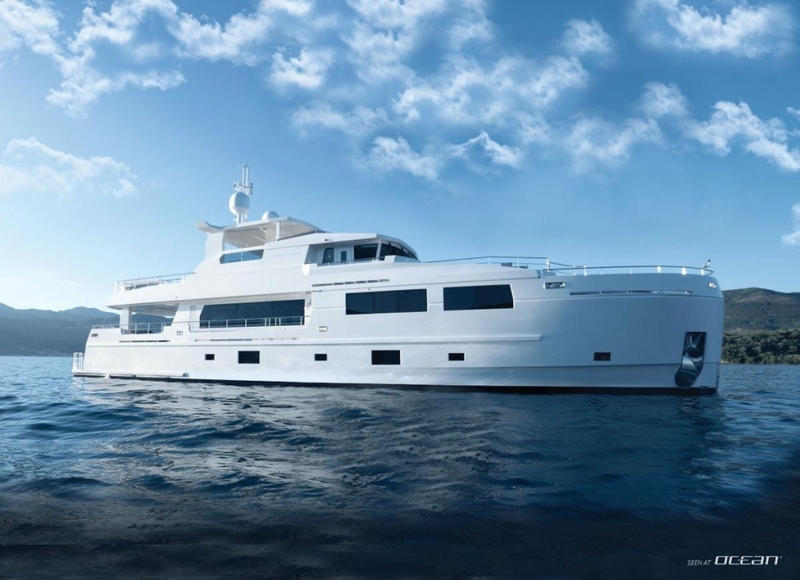 Here comes SERENITAS yacht for charter! 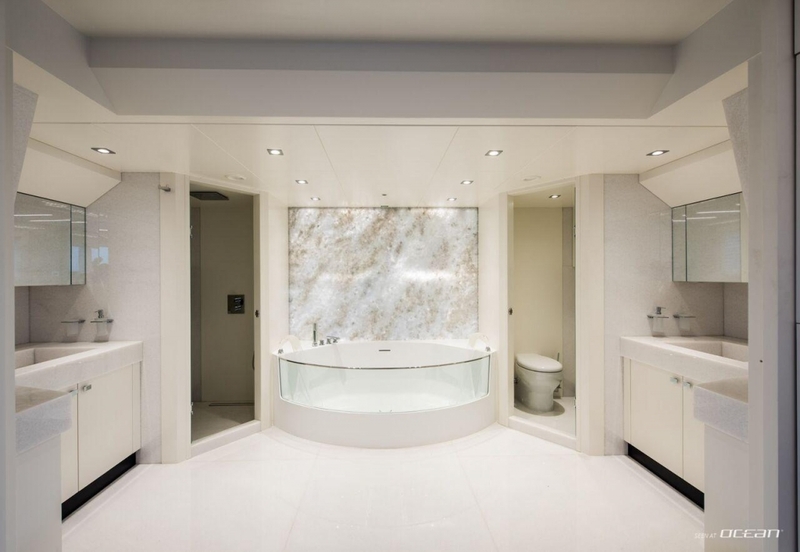 Modern, sleek and minimalistic. 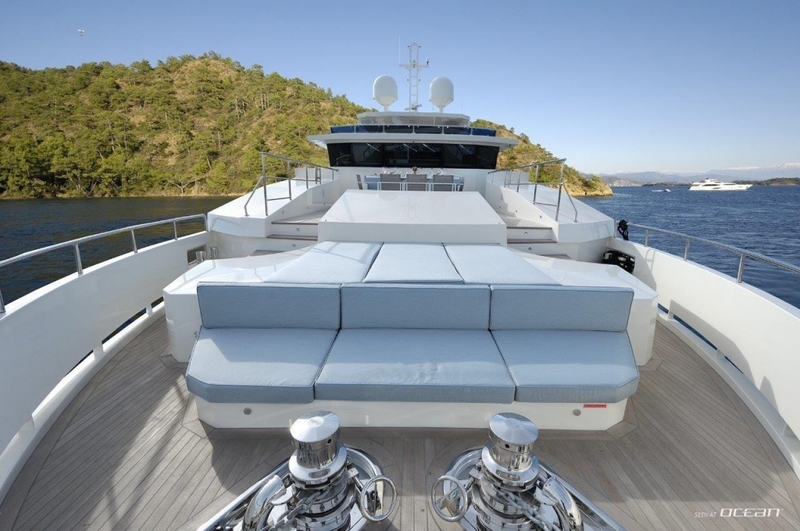 An impressive superyacht built by Mengi-Yay shipyard in Turkey and designed by Ginton Naval Architects, Netherlands. 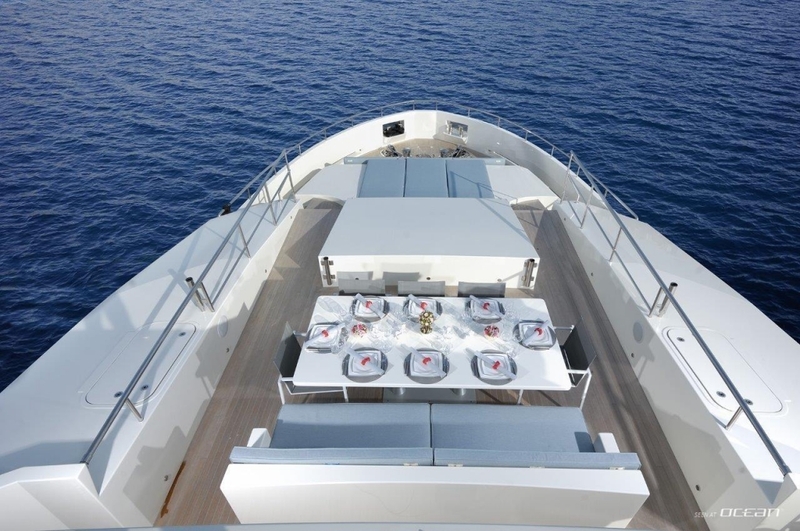 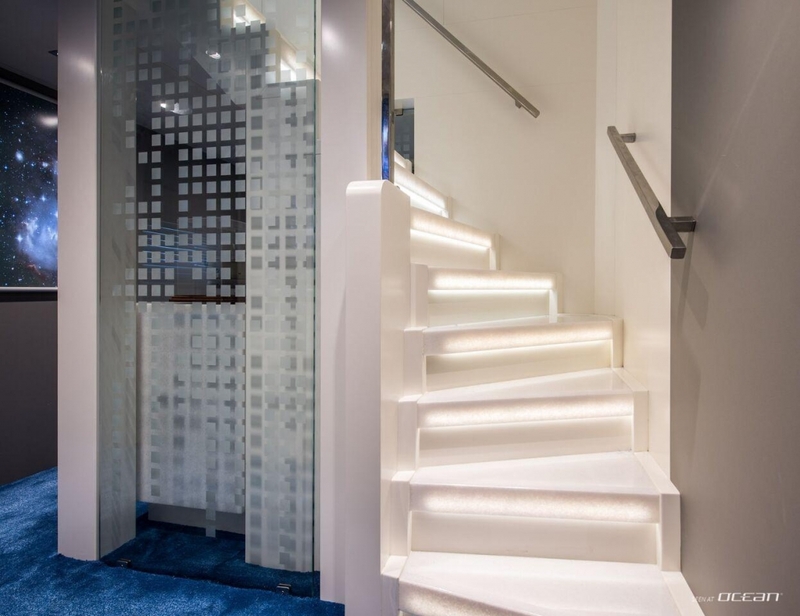 SERENITAS luxury yacht has been built of steel and aluminium superstructure meeting the highest industrial standards. 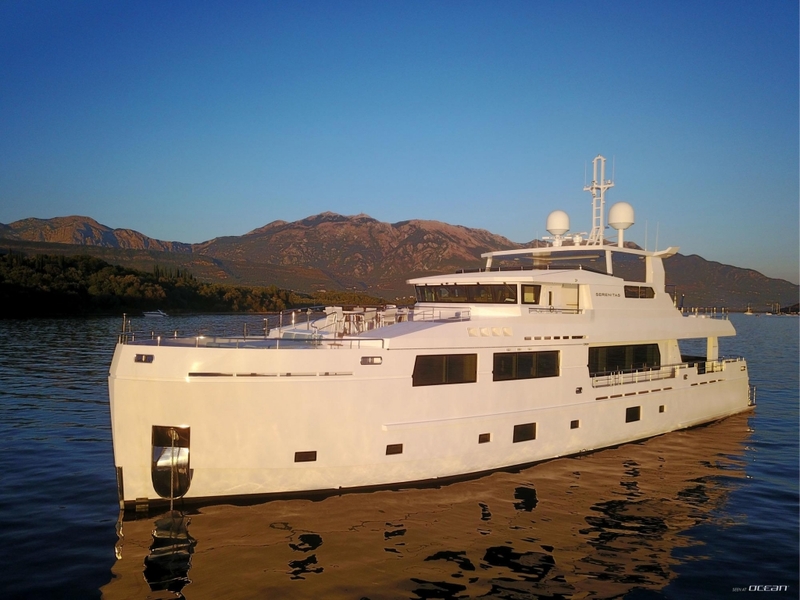 This awe-inspiring cruising yacht comes with a very low fuel consumption of only 140 liters per hour at a cruising speed of 10 knots and is fully equipped with latest audio-visual entertainment and loaded with all amenities needed for a perfect family charter yacht of her size. 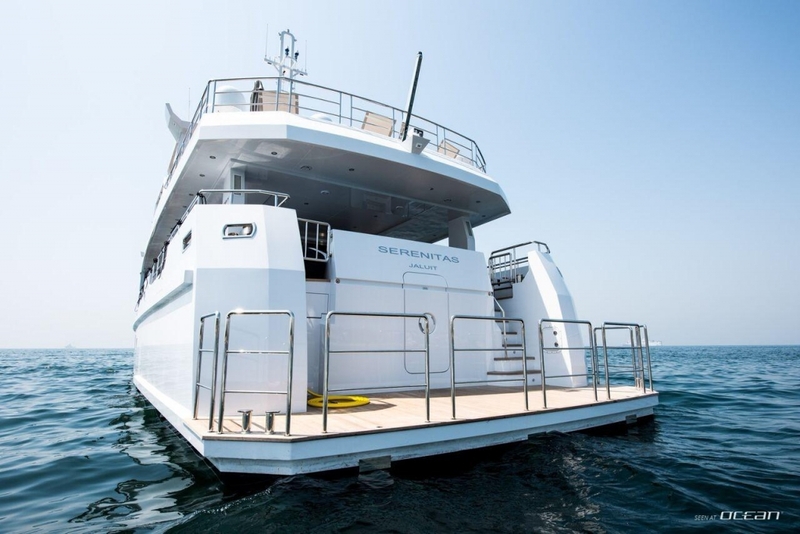 Book SERENITAS motor yacht and be spoiled by the impeccable crew consisting of 7 experienced crew members. 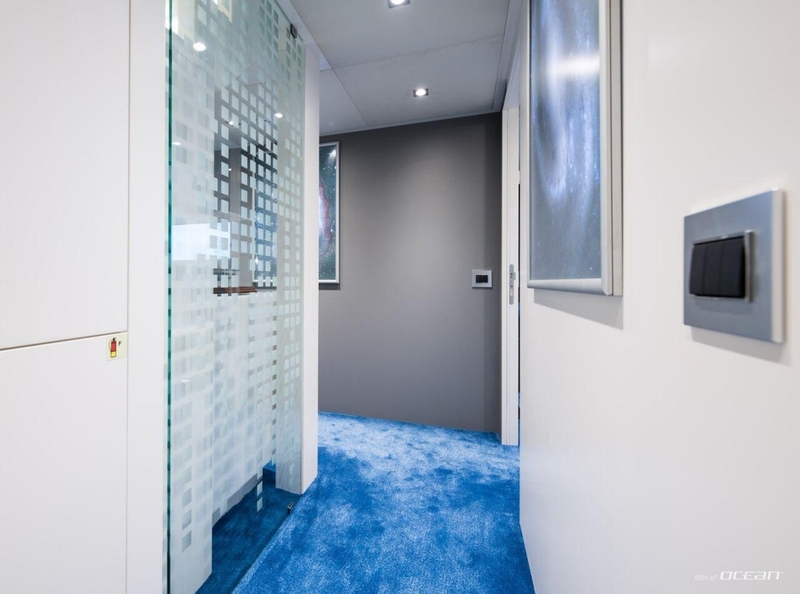 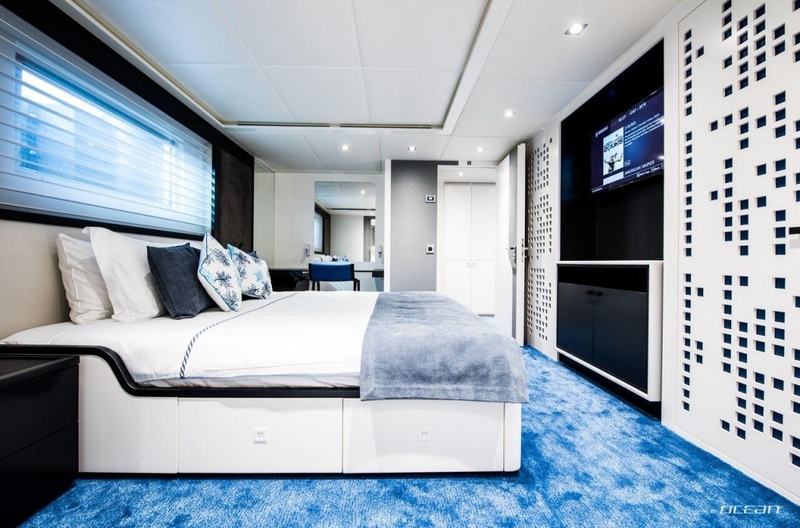 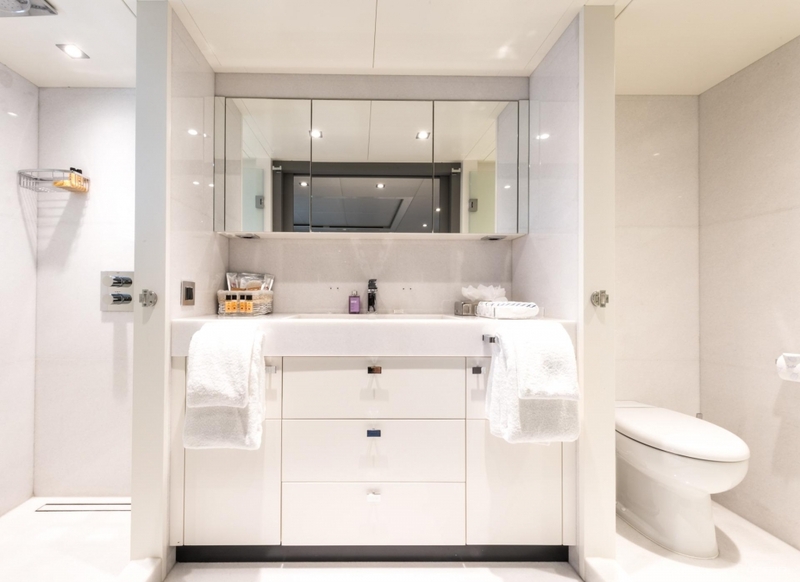 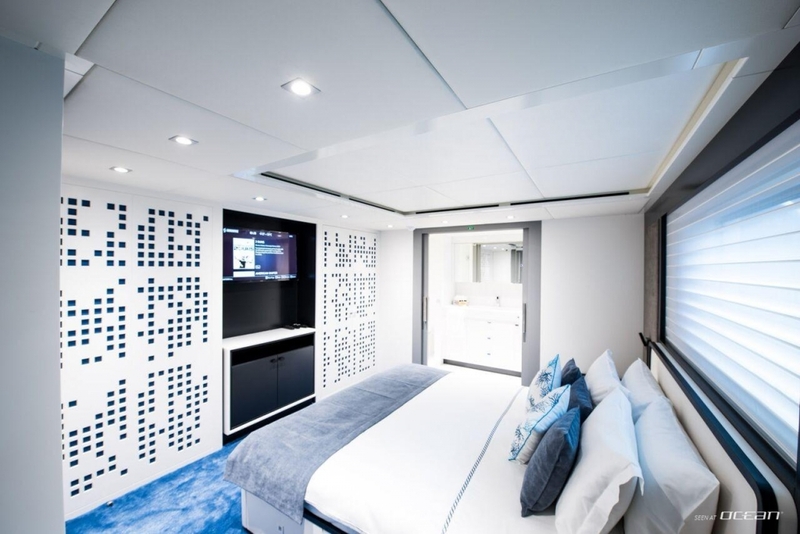 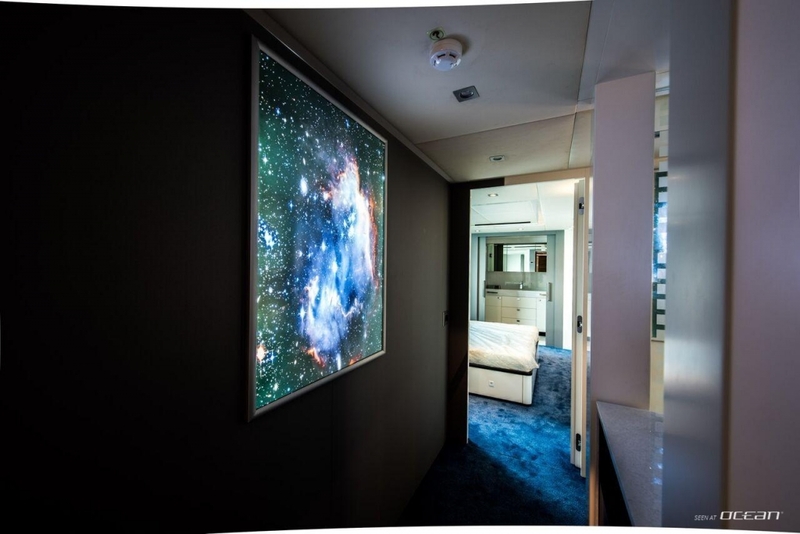 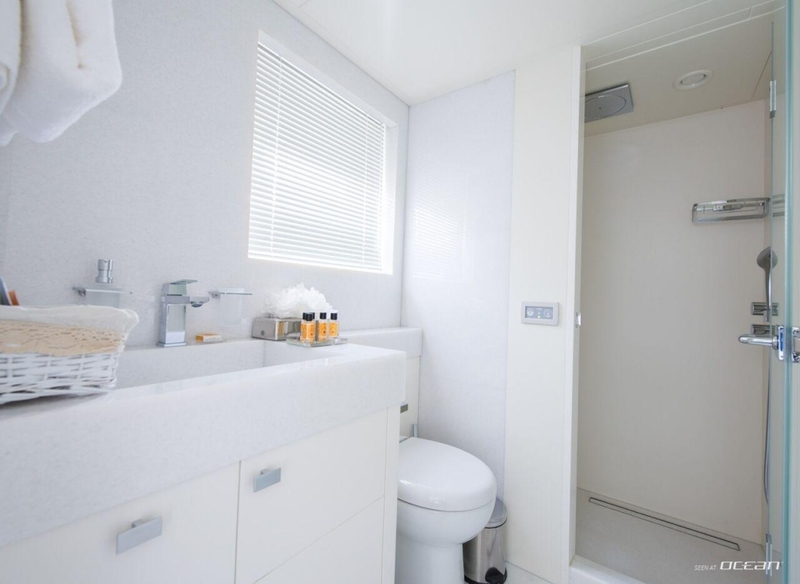 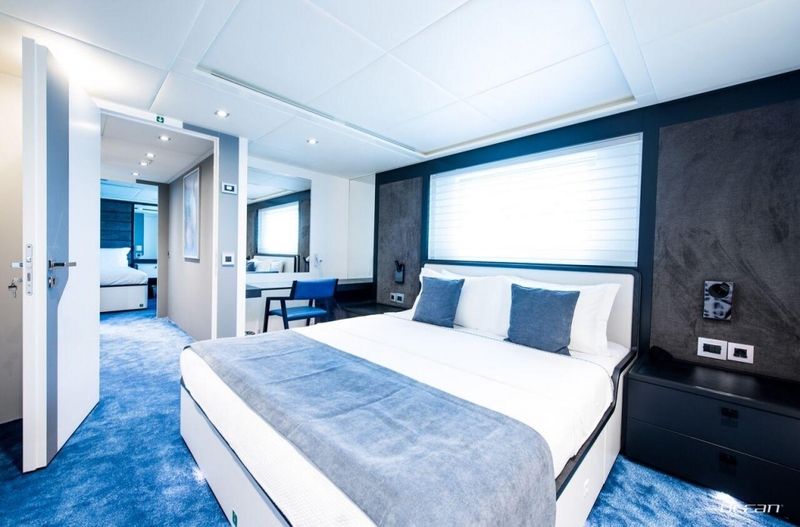 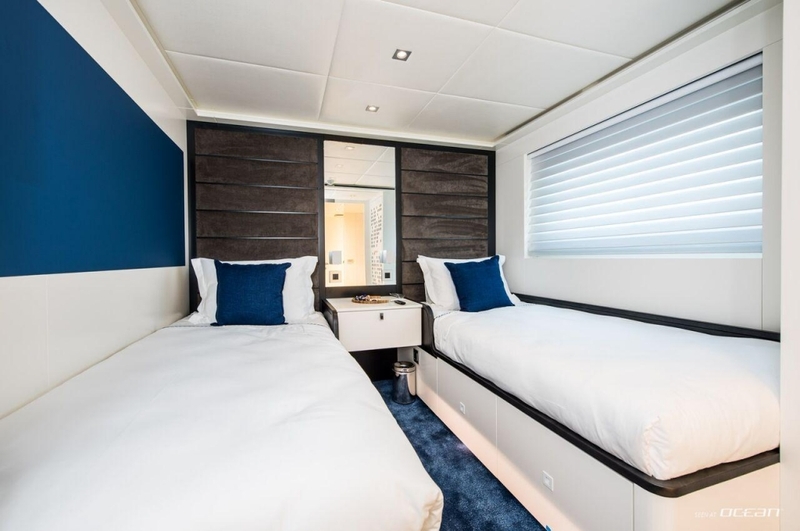 Up to 10 guests sleeping can be accommodated in minimalistic modern 5 cabins with all en-suite facilities whereby the master suite features full beam size. 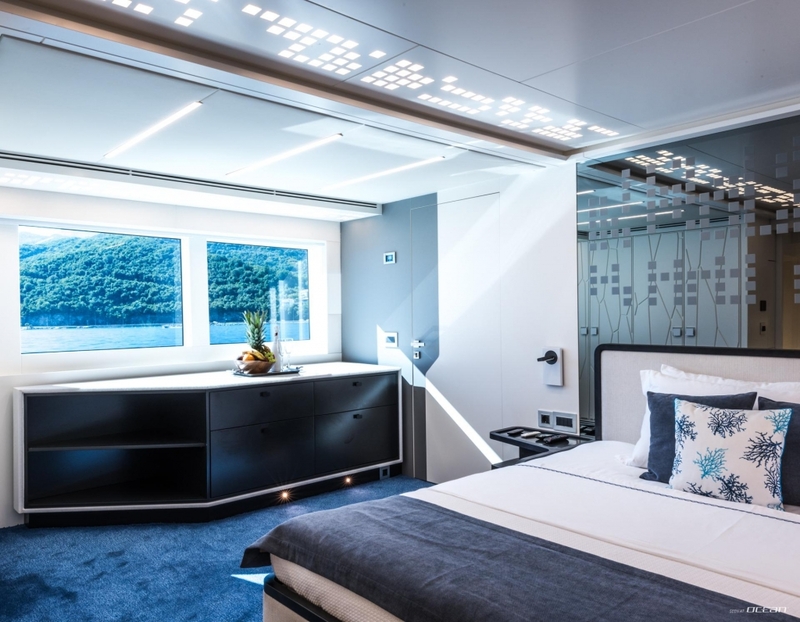 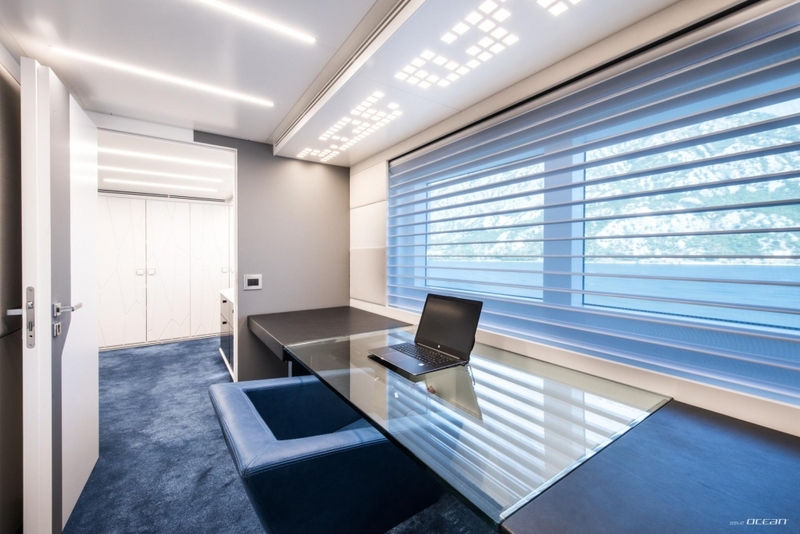 The interior has been designed by Guide de Groot and is characterized by high gloss bright finishes and sleek clean lines. 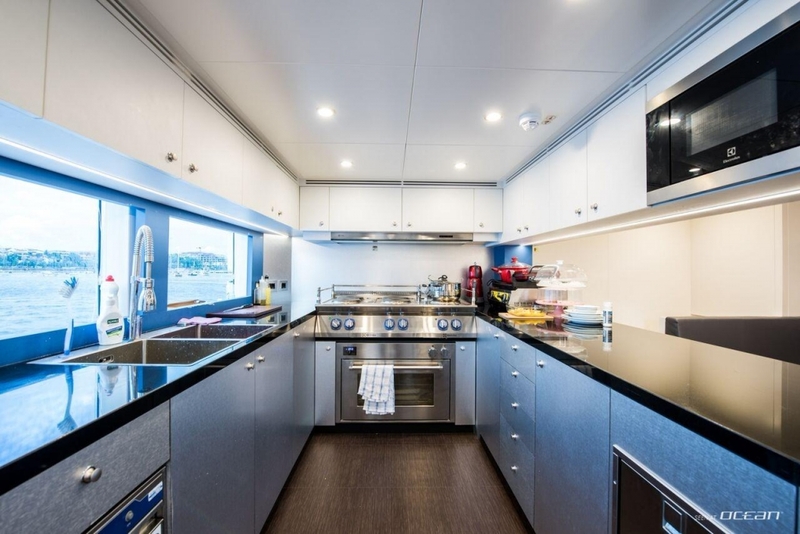 Thanks to her large windows SERENITAS is flooded by lots of natural light and all social areas like saloon and dining area are conveying lots of space. 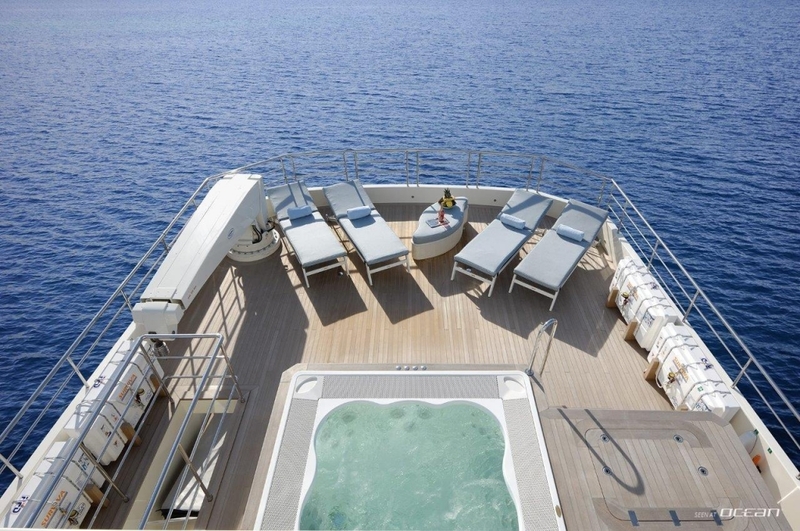 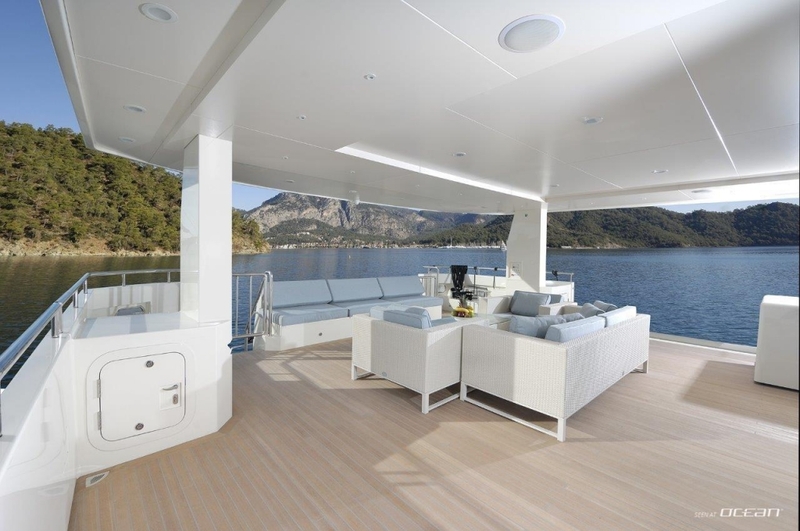 The sundeck of Mengi-Yay SERENITAS yacht accentuates the family character. 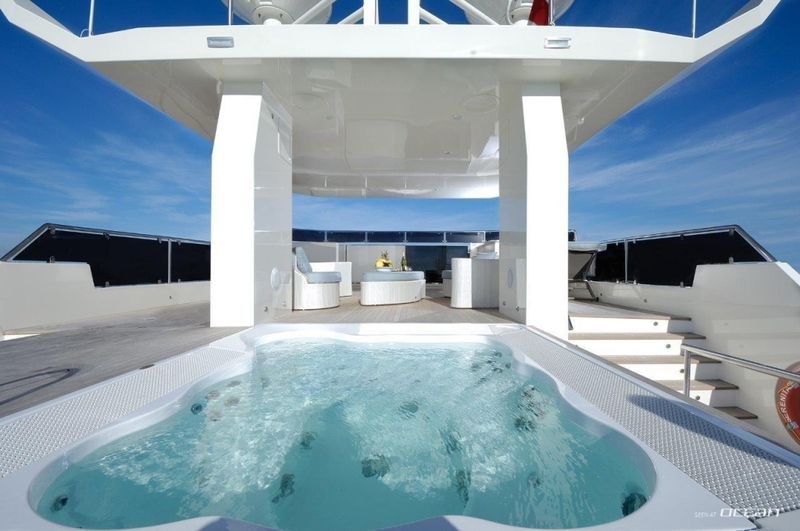 With a big focus on optimization of space without compromises to comfort, the aft part of the sundeck features a Jacuzzi suitable for 6 guests and ample space around with modern sunpads. 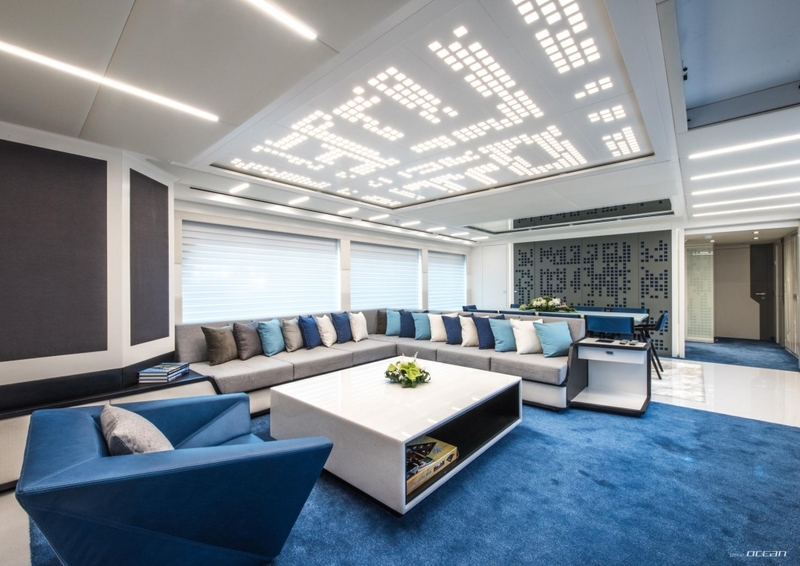 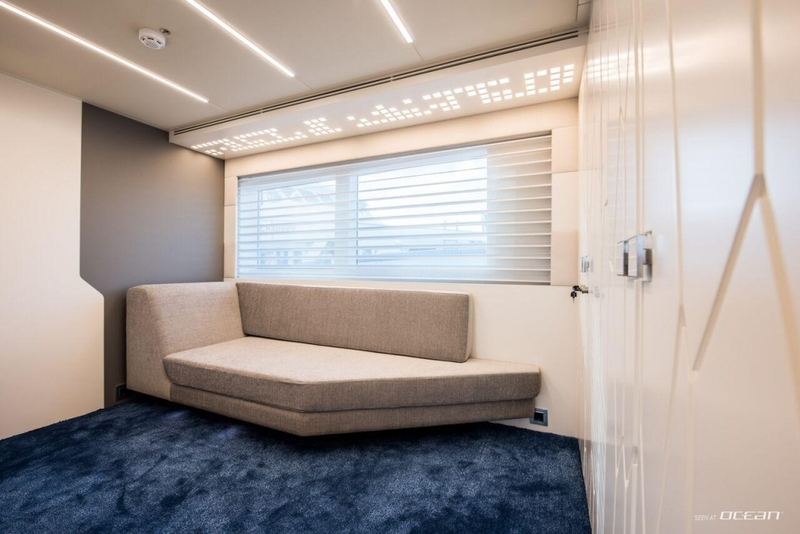 The lounge at the amidships area can be accessed by the steps and offers either shade or sun and the side decks provide access to the forward alfresco dining table followed by a large sunpad and more relaxing seating areas. 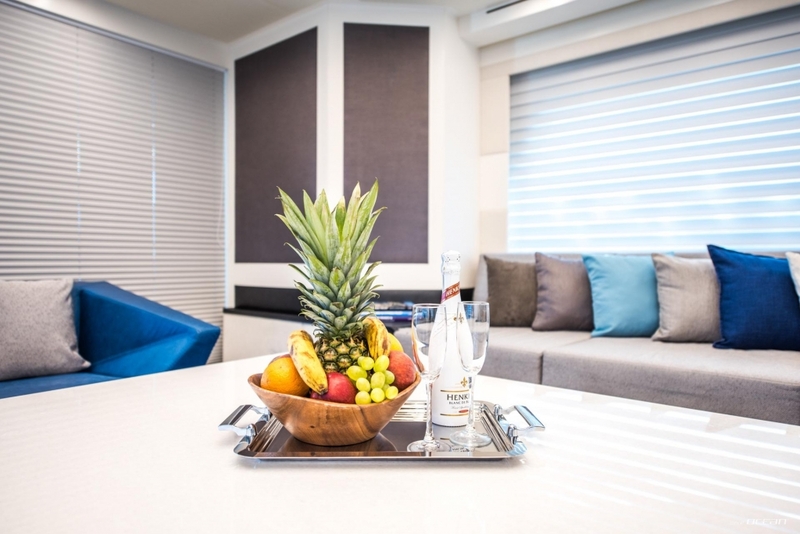 All audio-visual equipment is branded and state-of-the-art and the fully-equipped galley is comparable to those of 40-45m superyachts. 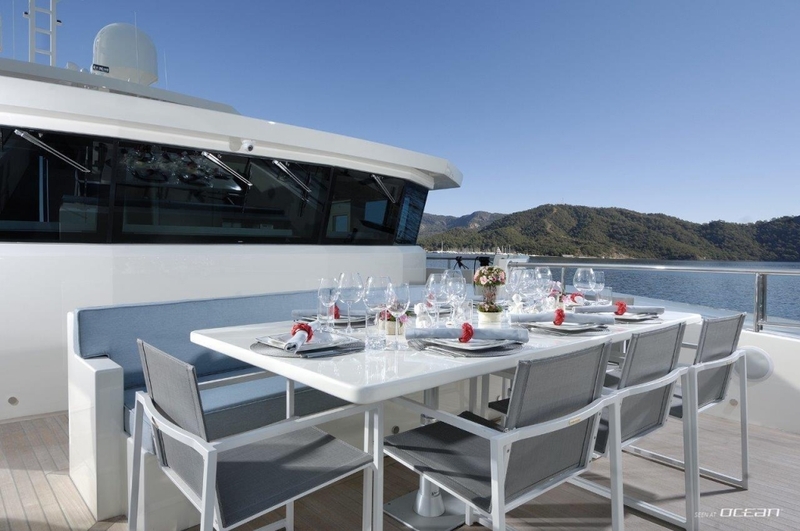 Please contact us for more details on charter yacht SERENITAS and ask for crew profiles and sample menus.